UPDATE! 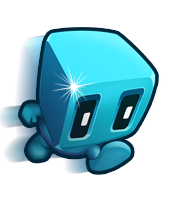 We are now selling the BuildBox 2 document to Cuby's Quest here. But first a little introduction. 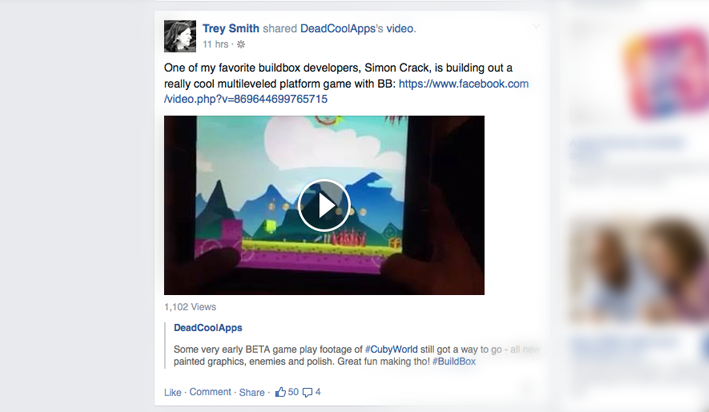 My name is Simon Crack and I've been fortunate to be able to build iPhone apps and games for around 4 years now. And contrary to what some of the tech media want you to believe (that there is no money in it) we've done pretty well. It's my full time job, which I love and I've been able to amass millions of downloads. 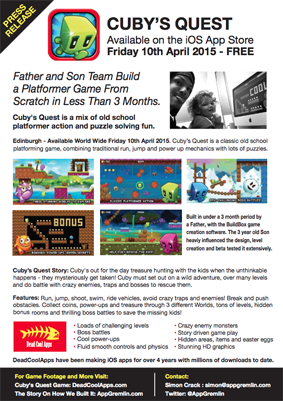 I guess you could call Cuby's Quest our first real passion project - for me it feels like my first true indie game. You see I've made a ton of endless runner games, puzzle games, photo apps etc but I've always wanted to make a true platformer game. (I would not recommend doing a passion project if you want to build iPhone apps and it's your first app - if you are just starting out and want to actually make a business out of this, bootstrap and don't sink your life savings into it. We have made over 200 apps and games now and could afford to take a punt). He played the game a lot. Not because I made him, but because he really enjoyed playing it. 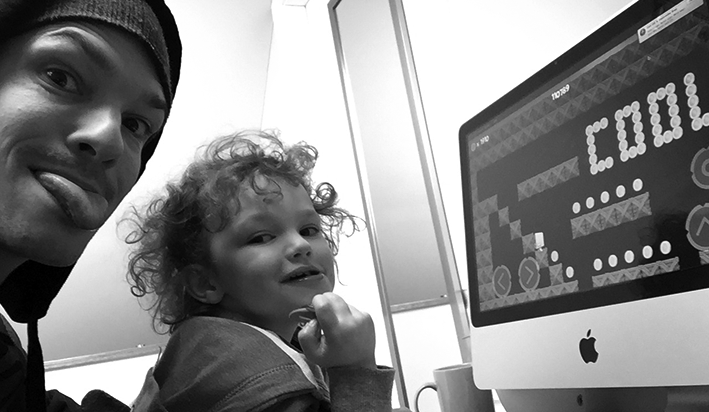 He wanted to play new levels - so we kept building them. When he asked for darker levels, we made them. More coins? we added them. Of course even he still gets stuck on parts of the game and gets me to help him out! That's what actually gave me the idea to include skip checkpoints via an In App Purchase just in case you are totally slammed on a level. Brogan also loves to play Bloo Kid and Lep's World on my iPad. When I was his age I still had 5 years to wait to play Super Mario Bros on the Nintendo. Now I feel old (I still have that NES today, and could play those games all day long. SMB3 and Zelda 2 being my personal favs). 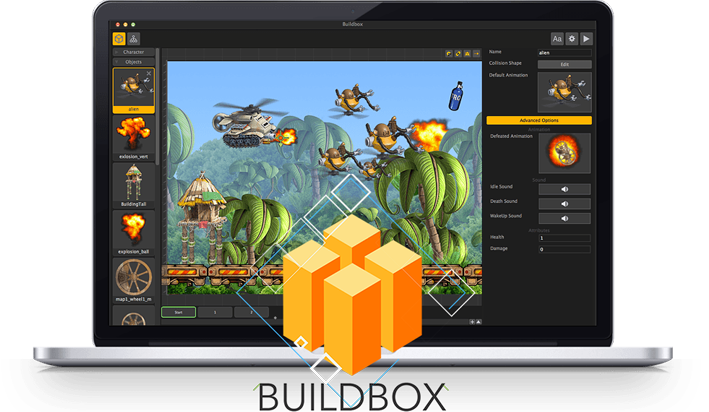 BuildBox is drag and drop game creation software for MAC and PC. The brain child of Trey Smith over at GameAcademy.com. 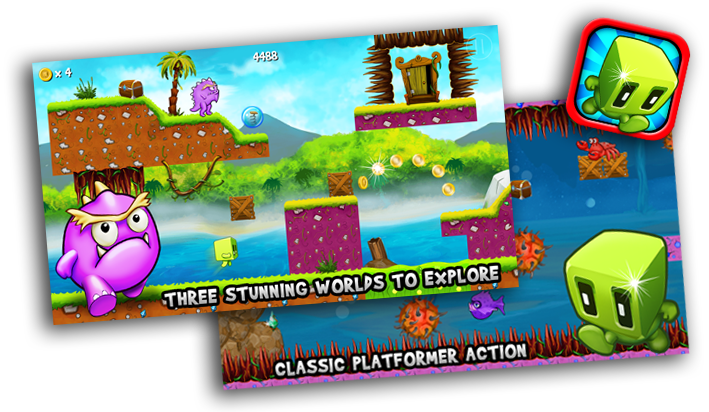 It allows you to build iPhone apps - just games currently without the need to learn any complex coding. My background is in Graphic Design (I'm not a coder) so this type of software was perfect for me. (iOS hits Phases and Bounce were both created with BuildBox and published by the juggernaut that is Ketchapp - neither of which are my games by the way). Geek Fact: BuildBox actually evolved from Project Zero which was a very simple drag and drop game builder released a few years ago now. I used that software to create my second iOS game for only $100. That game went on to gross over $10,000. That was a stark contrast from my first game which cost me $2600 all in and totally bombed in the App Store making next to nothing. Project Zero was improved and iterated into Project Zero 2 then Project Mayhem 1 and 2 and finally into BuildBox - which in reality today, is a very different beast to those simple game builders back then. And it's not cheap to buy either (but for me worth every cent). We were lucky enough to be part of the beta test program for BuildBox. At this stage creating a good platform game was not really possible, but the seeds were there and the possibility with BuildBox excited me. 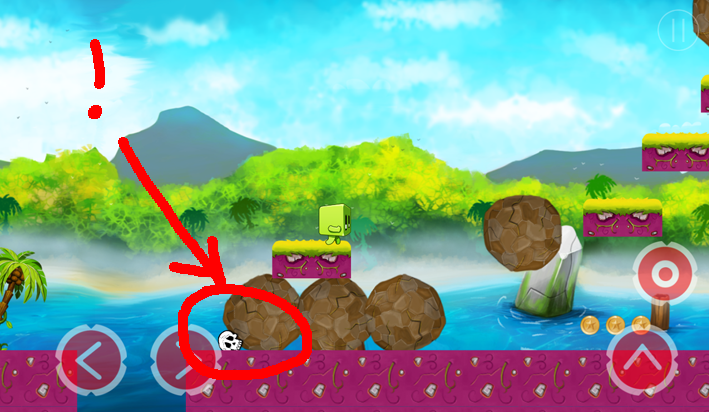 Here are a couple screen shots of the first few cracks I had at a platformer game with a beta version of BuildBox. Unfortunately controls were clunky, things just did not work as they should and it was evident BuildBox was just not ready for what I wanted to build. So over the next few months we cracked on with a few other simpler games. Around 6 or 7 and sat on the, as yet untitled platformer game, until BuildBox was more stable for this type of game. As BuildBox versions were updated, it came out of beta and got better and better and finally I could see that building a decent platformer game was starting to be a possibility. So in early January 2015 we started to properly build out the levels to get a feel of what we could do. We were surprised and stoked to find Trey Smith had picked up on the post and shared the video on his Facebook page. This helped get the initial word out for the game and to be honest added a little pressure to deliver ha ha - but it was all cool. We carried on building out more levels but found early on that there was a serious bug in BuildBox for platformer games that meant when you restarted from a save checkpoint the character would no longer be able to shoot maybe 4 out of 5 times. A simple solution would have been just to not have the character shoot, however we had already integrated shooting enemies and other puzzle elements that heavily relied on it. Regardless we decided to push on. We figured by the time the game was done this bug would be fixed in an update. I decided that the graphics needed an overhaul if we were ever going to have a chance to compete with the big boys in the App Store and stock graphics were not going to cut it. So we posted a job on Odesk for an artist. To me this looked like it was straight out of a Rayman game. So he was on board and although was not the fastest in the world, the graphics he produced were worth the wait. And we had plenty of work to do with building the levels anyway. Although BuildBox was (and currently still is) only set up to have one main background in the games, we knew we wanted to have 3 Worlds. So we kind of 'hacked' the software to be able to include two additional Worlds. A snow themed one and a water themed one. All you have to do in fact is drag in another background image placing it over the main one and set it to decoration in BuildBox, you just have to be careful not to have too many large images as it will eat into your atlas sheets and cause the game to run slow or even crash some devices. When all the levels were built out. We went back in and added enemies, we wanted to have different enemies in the three different worlds. 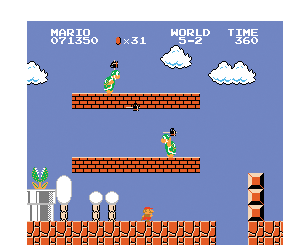 We also wanted to pay homage to Super Mario Bros and have breakable crates and set up stomping on enemies heads. The setup in BuildBox for this is actually quite complex. (See update 1 here for more info). 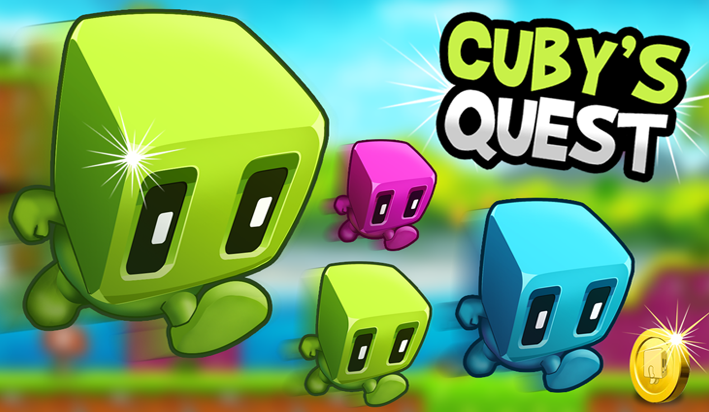 The character of Cuby was actually designed for another game that just did not get built in the end. So I decided he was too good to pass up and we utilized Cuby for this game. At each stage of the build (almost on a daily basis) I would export the game to test on as many devices as I could. As we added more and more to the game it was obviously getting bloated in size which was causing serious performance issues even on my iPhone 6. Having previously worked fine I was now finding it was crashing. It would never run on an iPad Mini which was annoying, iPhone 4 - no chance. iPad 3 - yeh funny enough I never had an issue running it on that, although admittedly it was a tad slow in parts. We decided we needed to get the game smaller in size after all the iOS cellular download limit (downloading, when not on wifi) is set at 100mb by Apple and we were well over that limit. This in the past has killed downloads for us - so we wanted to keep under 100mb. First of all we took every single image in the game and ran it through tinypng.org. It was very time consuming but it saved us a lot of space on the images without compromising on quality. However it did not help game performance one bit. We needed external help. We turned to BuildBox support (which has been excellent for us) to see if they had any ninja tricks up their sleeves which might help. Turns out they did! They suggested we use the 'Convert To Clones' function in BuildBox which basically means you are not using up as much memory showing the same level tiles over and over again, BuildBox does this programmatically. 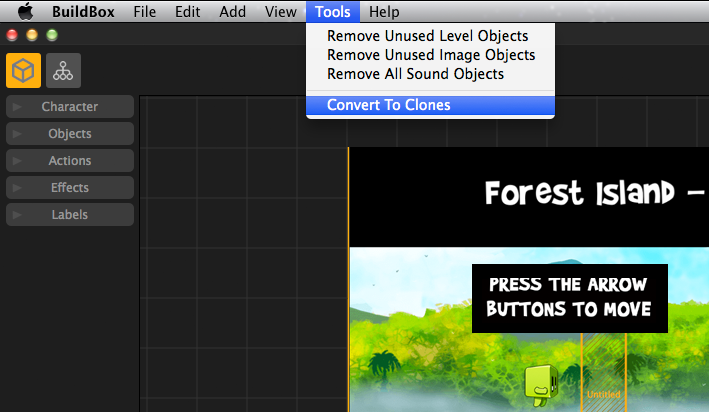 You basically click on a graphic - then choose Tools --> Convert To Clones from the menu bar and all duplicate graphics in that scene will actually be clones of the original. (This is an advanced feature that normally would not be needed in simpler games). We cut the game size in half. Performance was 1000% better. It worked on iPad Mini, iPhone 5, 6 and iPad 3 flawlessly. Initial loading 'boot up' time was cut from 34.2 seconds to under 10. We also optimized the atlas sheets to get them down from 7 to 3 (2.5). So was the game done? When the game was 'done', I decided to add secret BONUS sections. When the game was 'done' we added underwater sections. When the game was 'done' I went back and added more secrets, more puzzle elements and weather effects like snow, rain and bubbles for the underwater levels. When the game was 'done' I added two trophies into the game in secret, hard to find areas to see if anyone can find them (We may run a competition to win prizes on that at some point). When the game was 'done' we used the revamped (and currently very buggy) Apple TestFlight beta service to get beta testers playing the game and giving feedback. When the game was 'done', I still had to export the code in the latest BETA version of BuildBox to get the shooting bug fixed. We left that until last as we wanted to built the game in the more stable release. I've learned a game is never really 'done' - play, polish, play polish. 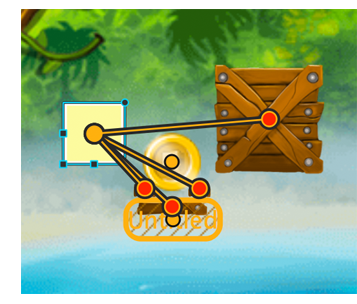 Expect players to find every bug there is, so you better make sure you have caught any biggies. Also expect the top players to be 1000 times better than you are at the game! I must have played the levels hundreds of times (in BuildBox preview mode - on my iPhone 6 and iPad 3 and completed it around 57 times now. Always noticing things to fix, taking screen shots for the next day. I probably tweaked too much. Sometimes I would adjust a scene and get it perfect however as we reuse some assets such as boulders it would change things later on in the game that I had not accounted for. (You may need to allow Quicktime plugin on this page to listen to it). To build iPhone apps is one thing, but if no one downloads them, then you are screwed. 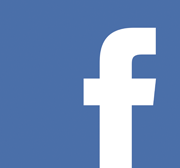 So what have we done for marketing Cuby's Quest so far? First off we made sure the basics were in place. That being, decent icon, all 5 screen shots (with marketing messages on), keyword research and App Preview video trailer. We used SensorTower.com to research other competitors keywords (similar other games) as well as running traffic scores on our own keyword ideas. We maxed out the 100 character keyword field by filling every character. TIP: Pretty common knowledge now, but always write your keywords in the keyword field like: 'top,cool,jumping,game' as an example. That is comma separated words, no spaces as it's a waste of characters. I would also go as far as to say loose really long keywords as you can fit in more shorter words maximizing your number of keywords and potentially more search terms for your app to appear. But that's up to you. We also utilized the Mexican Spanish translation box to fit in even more English keywords. Why? Anything written in the Mexican Spanish translation box will be searchable in the US App Store. (I find you can also get away with more, um edgy keywords shall we say). Heck, I've even recorded myself playing the game for 5 hours straight so I can be the first to provide a video walkthrough on YouTube (which is inevitable these days - so figured I would get in first ;-). 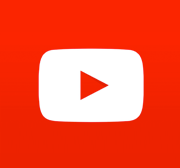 These videos are going to be uploaded gradually before, during and post launch of the game on our YouTube channel here. We've added hidden trophies in the game too and will run a competition with prizes via Facebook and Twitter at some point to find them. We posted our progress in forums like the BuildBox and GameAcademy forum (this was great for getting early feedback). We also created a 30 second App Preview Trailer. I played the game with my iPhone 6 connected to my MacBook Pro and recorded it with the Quicktime application. I then imported the footage into iMovie. I found it quite a challenge to try and showcase all the games features in just 30 seconds. At the last minute we created a PRESS KIT. Which is basically a zip file of icon, screen shots and press release for editors of popular app or tech sites to get all the info they need to hopefully review or mention your game. You can check out our press kit here. We also came up with this press release (press releases can be see as kind of old school but I actually had fun trying to put one together and figured what the heck. This is what I came up with below (available in full in the Press Kit). I did some research and submitted this press release to some tech websites and app review sites. Having said that I'm sure they all receive a TON of this stuff on a daily basis and I do not expect to get anything from it. Time will tell. I'll be honest the whole game was a slog to produce, 3 months felt like 3 years ha ha. The guys who make Super Mario games must be sick of him by now is all I can think. But it was also a lot of fun and a great learning experience with BuildBox. Now BuildBox is not perfect, there are bugs (like any software) but there are also workarounds, it's also constantly getting updated with new features added which is cool. Would we do it again? - In a heart beat. This is what we love to do. 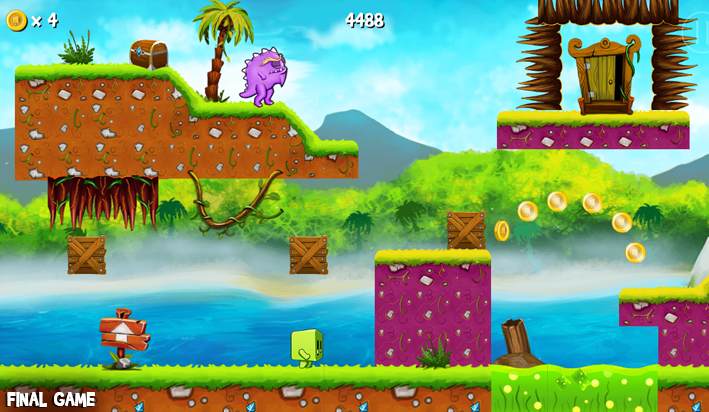 Although you may have to wait a little while for Cuby's Quest 2! I'm working on a more simple game next for a bit of hectic chill ;-). 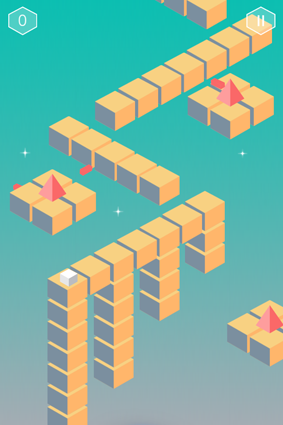 Is Cuby's Quest a perfect game? Definitely not. There are for sure some things I would do differently if we were to make it again. We have 3 Worlds, 3 levels per World, bonus sections, hidden stuff and 3 boss battles but it's not the largest game in the world. Although it is very tricky in parts. And due to some limitations with BuildBox we had to work around some things. It cost us less than 2k to build, we could have definitely made it cheaper if we had of cut some corners, or taken longer. But I did not want to sell this one short or be working on it for a year either. Regardless of how well it does in the App Store or not (it's in review currently, eek) we had a blast making it. 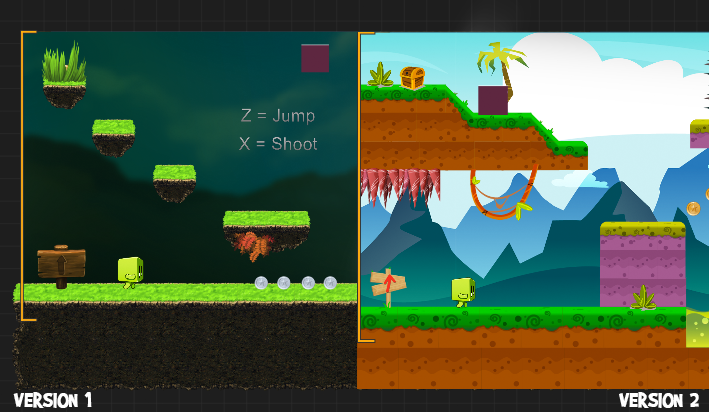 I've always wanted to build iPhone apps, but with BuildBox I fulfilled a childhood dream of creating a true platformer game from scratch and did not have to touch a single line of code! If you haven't noticed we are very passionate about games and love to build iphone apps. 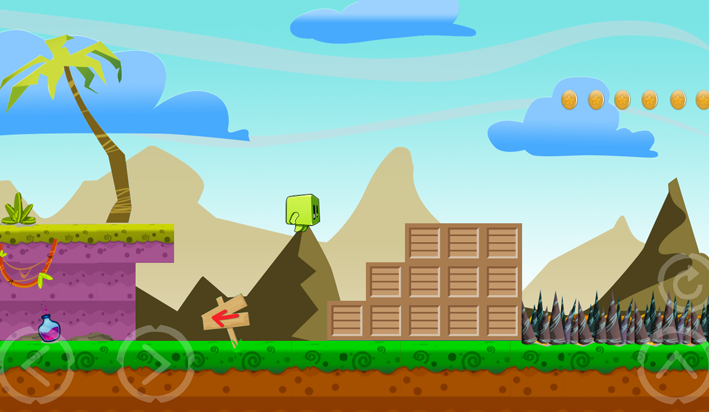 If you want to build iPhone apps too in the games category definitely checkout BuildBox. UPDATE 1. 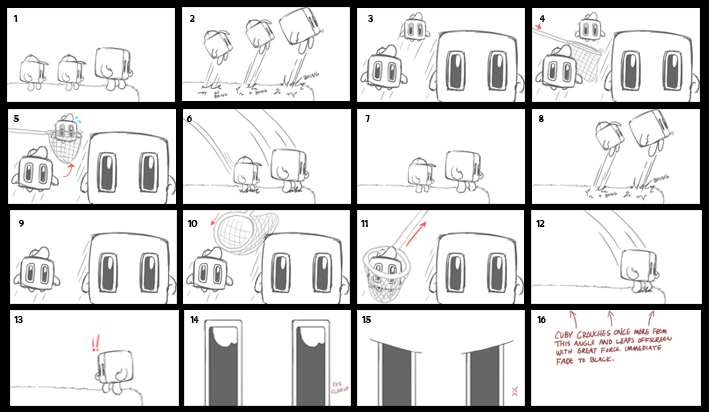 Geek out alert - We've had a few BuildBox peeps ask us how we set up the Mario-esk crate smash in the game. That is a pretty complex set up - not that it looks it when playing. The crate is a platform linked to an action set to power-up (the crate is placed in front hiding the power-up). So when you jump you hit the power-up which disappears and takes the crate with it. UPDATE 2. 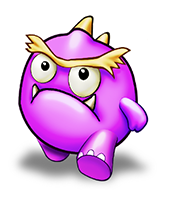 Cuby's Quest has been APPROVED yay, ta Apple - going LIVE on Friday 10th April. UPDATE 3. 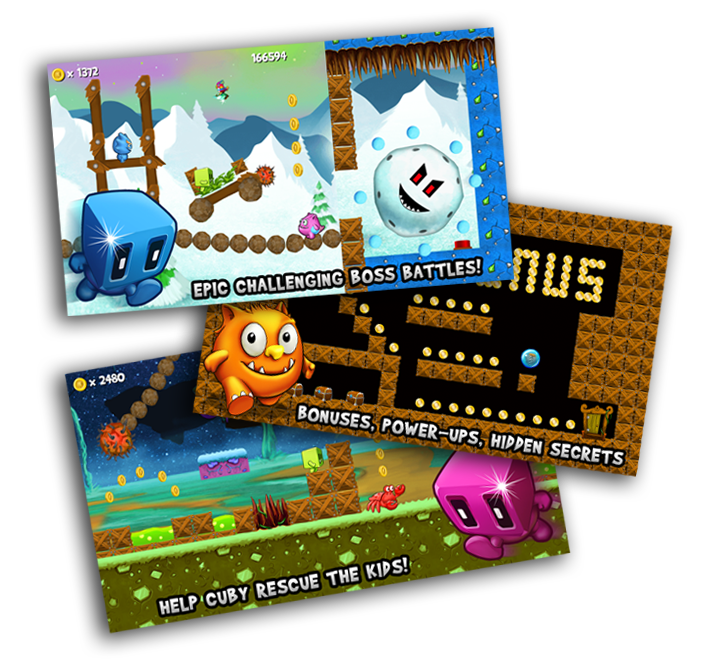 You can now download Cuby's Quest - FREE on iOS here. UPDATE 4. 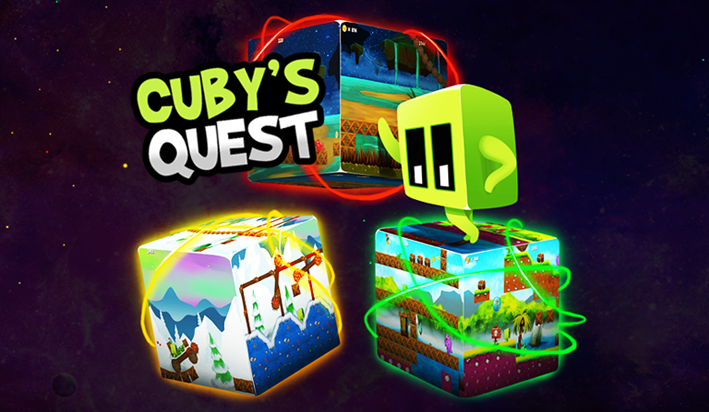 We are now selling the BuildBox 2 document to Cuby's Quest here.